Looks like the adult Losers Club is about to get two new members! As many will have their opinions about this -please share if you do- let me just say I couldn’t be more thrilled to see Hader and McAvoy in Derry. Bill Hader and James McAvoy are in early talks to join Jessica Chastain in Warner Bros. and New Line’s sequel to Andy Muschietti's IT: Chapter Two. According to The Hollywood Reporter, Hader is in talks to portray Finn Wolfhard’s now adult jokester-turned-jokester DJ, Richie Tozier, and McAvoy is in talks to play Jaeden Lieberher’s adult character and successful author Bill Denbrough. 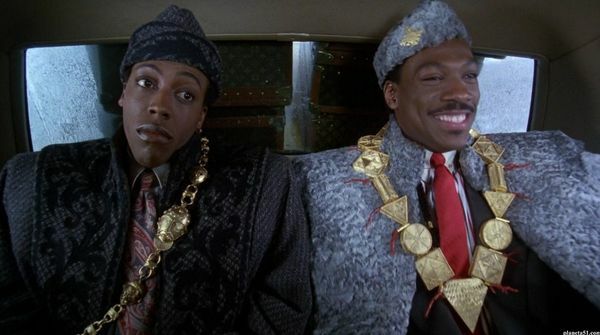 While both feel like no-brainer casting choices, I'm definitely feeling this transition from Wolfhard to Hader, let alone Lieberher's to Kevin Crumb. Both Hader and McAvoy will join Jessica Chastain, who is confirmed for the role of Beverly Marsh. 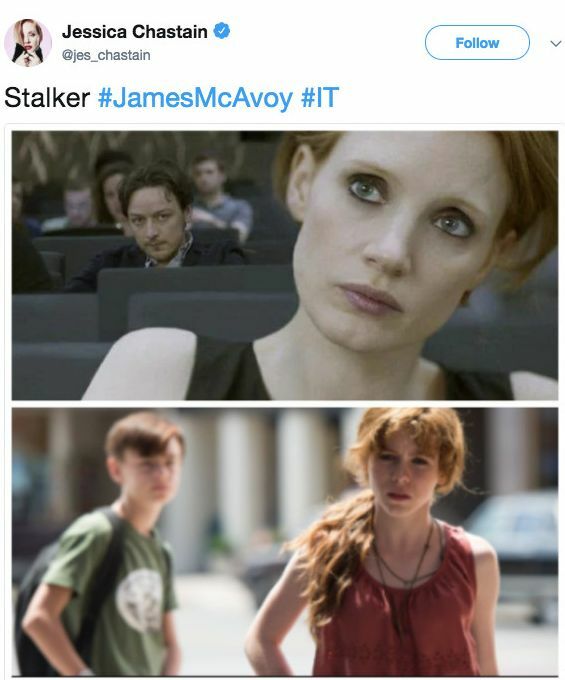 Chastain took to Twitter shortly after the announcement to troll her co-star James McAvoy Tweeting two images of her and McAvoy in 2014’s The Disappearance of Eleanor Rigby and their younger Losers Club characters Bill and Beverly. Back in September, Muschietti dished all things "Chapter 2" with EW teasing what's in store for the now adult age 'losers,' including "darker" plans for Derry's mainstay, Mike Hanlon (Chosen Jacobs) and spoilery implications for the 'Loser' who doesn't return to Derry. 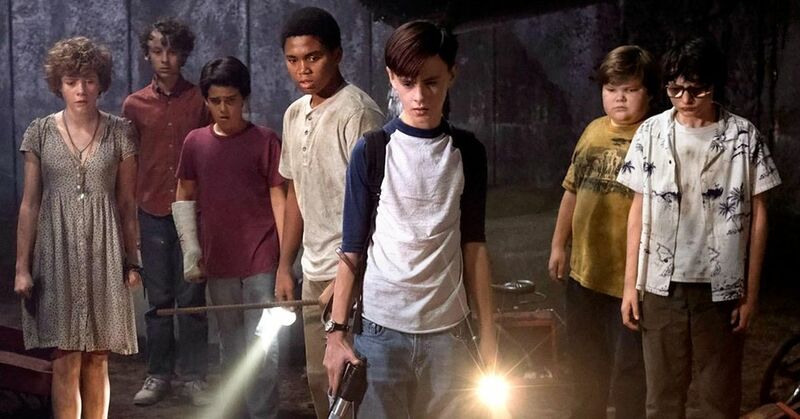 Notably, Muschietti also confirmed our beloved teenage actors will return in 2019's sequel but in flashback form. It: Chapter Two is scheduled to begin production in Toronto sometime in July and is set for release on Sept. 6, 2019. Three down and four more Losers to go. 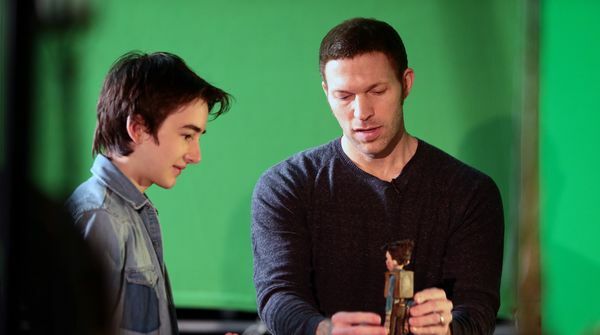 Any guesses as to who should portray Ben Hanscom?